In large pot, brown onion and pork in 2 tablespoon of olive oil. Add remaining ingredients except noodles. Simmer for about 2 hours, add noodles and cook until tender. about 20 minutes. Enjoy, this will make a lot. Yum. That would well in my house. Must give it a try. My family would LOVE this! Thank you for joining Planet Weidknecht's Weekend Hop. I am following you and hope to see you again soon. ok I am sooooo hungry now!coming from chasing rainbow (catching up) come by and checkout out delicious cookies! Hope you can drop in, say hello and follow back, Thanks. 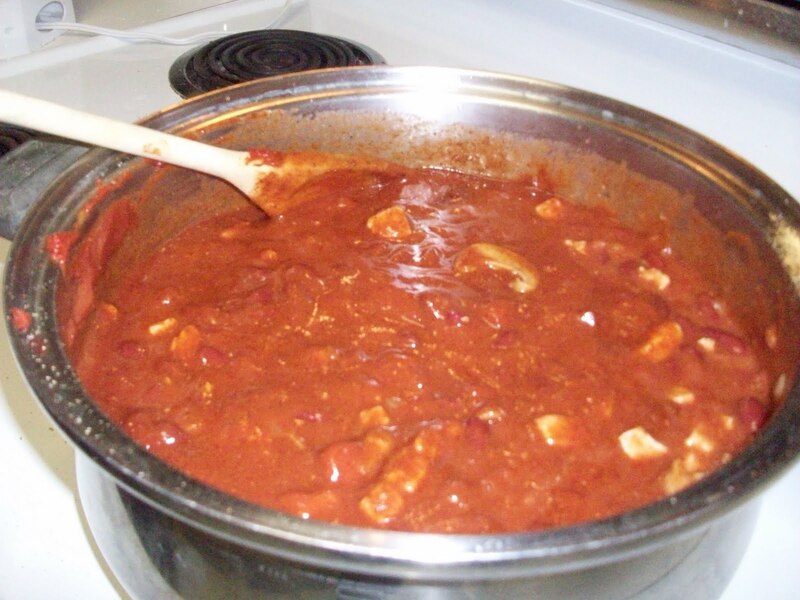 Favorite thing about this time of year....chili baby! Great recipe, can't wait to try it. Thanks for linking it up with us. I want to start journaling in my bible, but am concerned that the markers will bleed through to the next page.